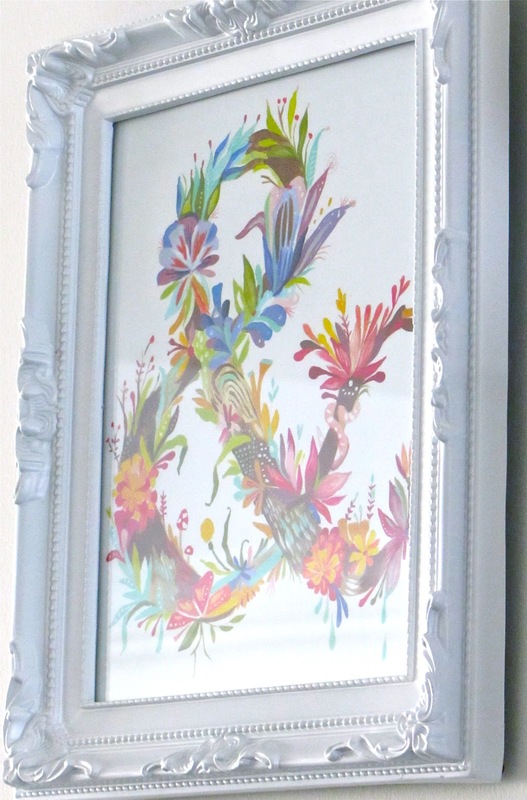 I have had this cute ceramic wall frame from Robert Gordon on my photo wall for ages without anything actually in the frame. I actually liked the look of the pretty empty frame against the other frames with photos in the them. But...the other day I spotted this pink deer wall hook in Typo and I just had to have it. Does anyone ever do that - see something and really like it but not actually know what to do with it? 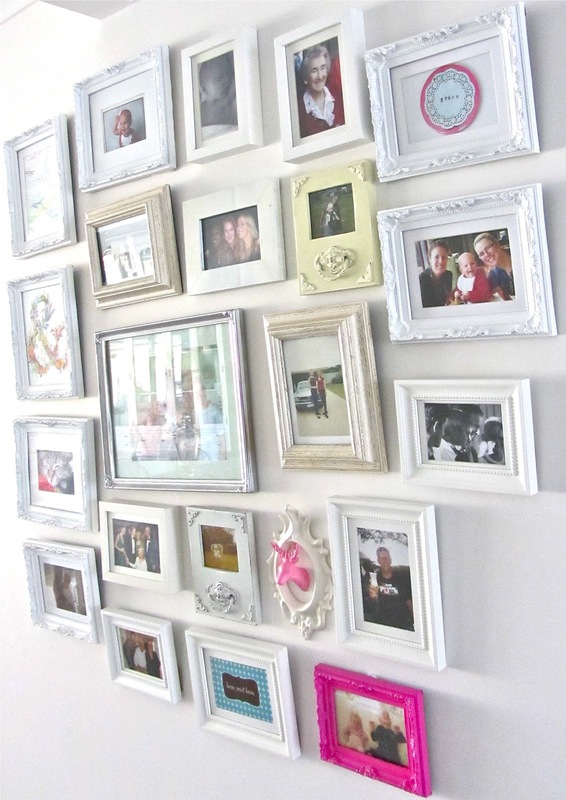 I knew that I would be able to put the wall hook to good use and I was thinking of putting it up in my office at work to hang my jackets on - or to put in Sophie's play room to hang her dress up things on....until I casually went past my empty picture frame! 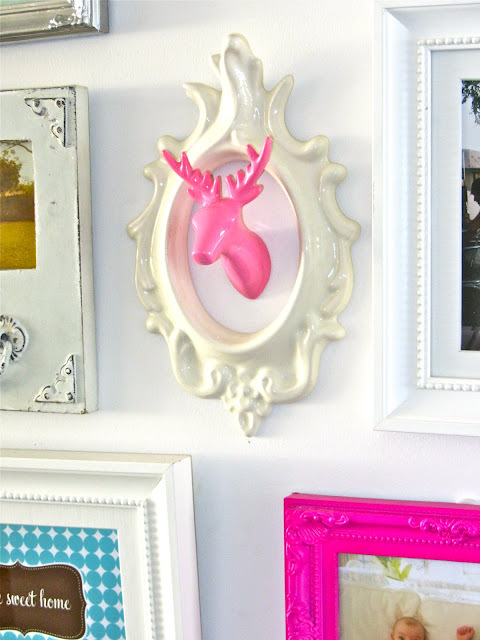 I knew then that the pink deer hook had found it's new home. 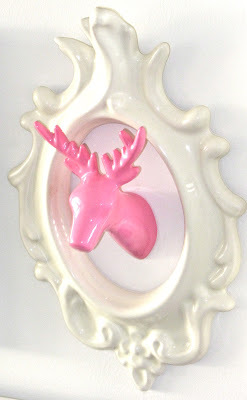 I love how the pink deer's head looks in this little frame. Woops! 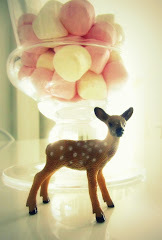 I promised hubby that I would not buy anymore pink homewares!! My little girl was funny the other day. We were browsing through some gorgeous kitchenwares at House and I spotted some gorgeous pale pink kitchen utensils. My little girl called out loudly "no more pink things mummy!". The little print is from etsy. So true - home sweet home. Here is another cute print from etsy which I have on my photo wall. There are so many wonderful prints available to purchase (at great prices) on etsy. While on the topic of etsy...and deer heads...I have just stumbled across this awesome ceramic moose (sort of like a deer??) head in turquoise and yellow! 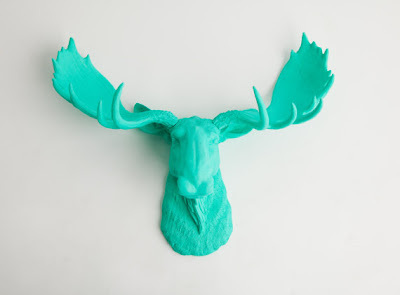 This moose head is by White Faux Taxidermy. Unfortunately, they only ship to the US but you could always visit their etsy shop and send them an email. 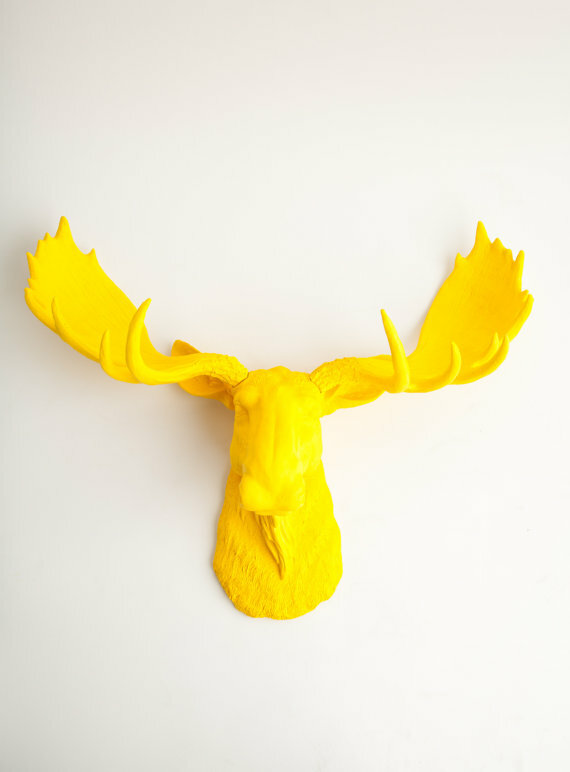 Here is another very cool faux taxidermy decor item ... this time from Lark (by Heico of Germany). How chic! The lamp can be ordered online too. 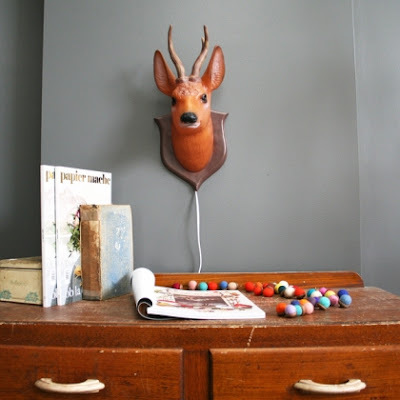 I would love to put this lamp on my wish list but I already have a few faux deer heads in my house - one decal and another plywood. You can have too much of a good thing!